All for your perfect lawn. More than 50 years of research on lawns speaks for itself. WOLF-Garten works with a great deal of passion and technical knowledge so that an area of grass becomes your longed-for dream lawn. Discover the complete range! Whether you are laying out a new lawn, renovating one or caring for one - WOLF-Garten offers you a full range and complete competence across the board in seeds and fertilisers. 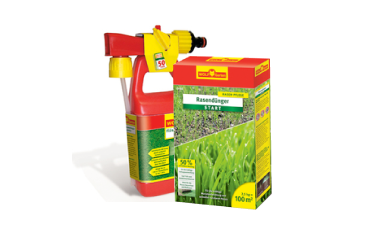 Here you can find exactly the right product for your needs so that your lawn is permanently dense, green and resistant. It mows. You just lean back. 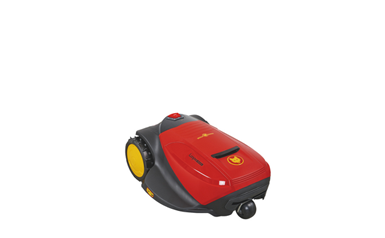 The robot lawnmowers from WOLF-Garten are true all-rounders and can handle even large areas and taller grass all by themselves. This makes mowing, mulching and trimming a job that is done for you. Installation and operation are very easy and intuitive, the consistent mowing pattern will impress even the most demanding lawn devotees. 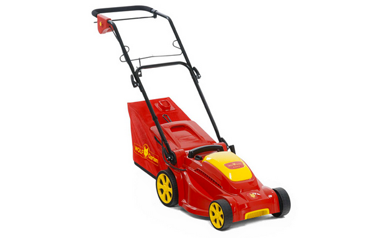 The electric and cordless lawnmowers from WOLF-Garten are delightfully light and notably quieter than comparable petrol engines - and are thus very environmentally-friendly. This quiet running is good for your ears and allows you to work without fatigue. 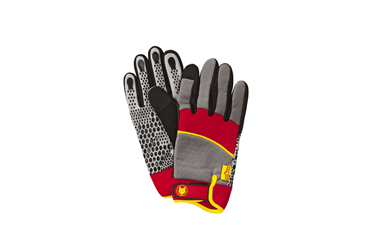 Moreover, they are ready for use at any time - there is no time-consuming maintenance work required. Just take a look at this video. 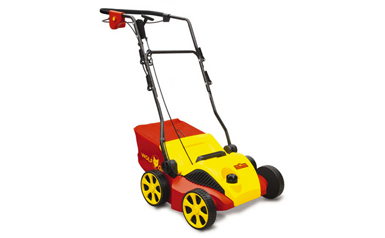 For lawns of over 250 m² in size we recommend a powerful petrol lawnmower, such as the little powerhouses from WOLF-Garten. 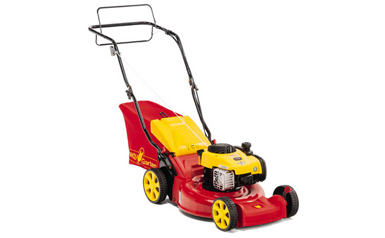 Thanks to powerful engines they can handle even taller grass with no trouble. The models with wheel drive run by themselves, so to speak. This makes mowing pure pleasure for you. Sit down to mow your lawn. 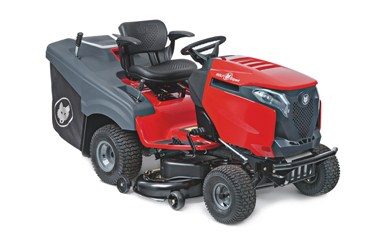 Whether on a compact and powerful WOLF-Garten ride-on mower or a WOLF-Garten lawn tractor with full comfort and a powerful engine. In this way you can also cope with large areas very simply, quickly and effortlessly - and have a great deal of fun when doing so. 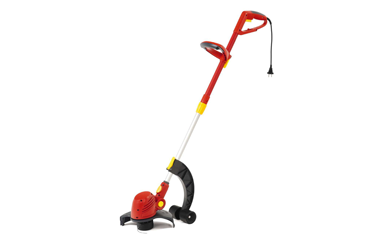 If you just love an English lawn with grass stalks of up to 4 cm or only have a small lawn to mow, then a manual cylinder lawnmower from WOLF-Garten is just the thing. It makes practically no noise and is completely environmentally friendly, using no petrol or electricity. And it makes you fit as well. 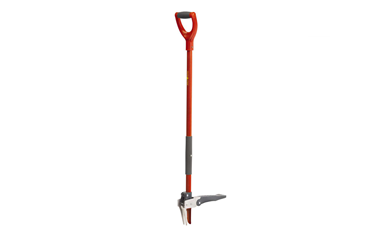 Using a lawn trimmer from WOLF-Garten, you can cut back tall grass even in the most inaccessible corners of your garden. A four-way angled handle makes this possible. 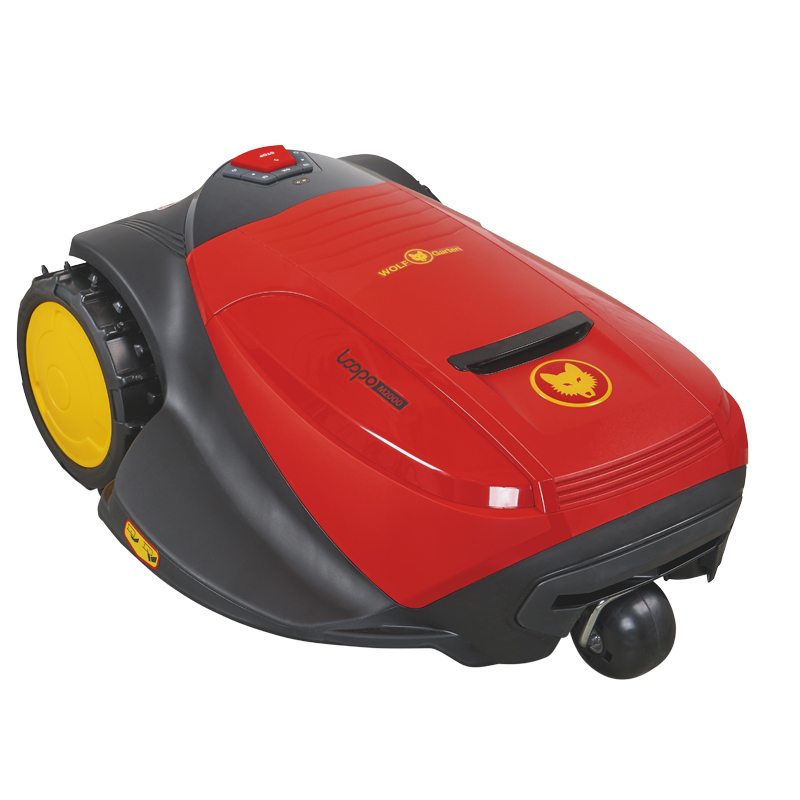 Handling is extremely comfortable: change the spool in a moment with the "Click" system. Now you can deal with tall grass and dense undergrowth effortlessly. 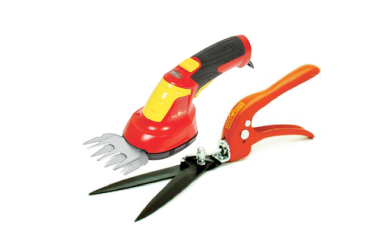 This can be done quickly and efficiently with the brushcutters from WOLF-Garten. 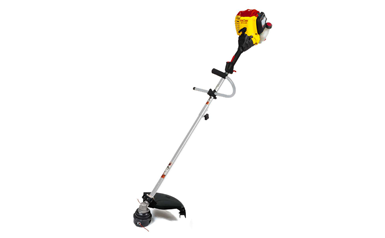 The anti-vibration handle allows you to handle extensive areas with ease - and you can pay out the cutting line in a moment with the "Speed Feed" system. A deep and even green need not be just a dream. 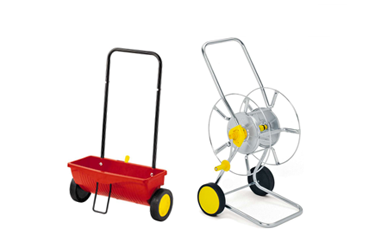 The spreaders and hose reel trolleys from WOLF-Garten allow you to do this easily and perfectly. 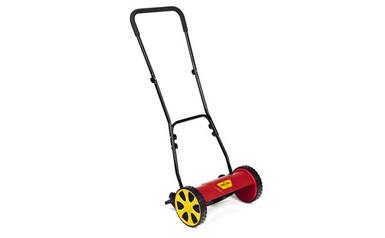 But that is not all: you can also use the spreader for salt, sand and other materials if there is ice and snow.